If you run a web site, or you're trying to fix a problem for someone who does, then you need a decent set of troubleshooting tools to hand. You'll want to check that the SSL certificate is working properly. You'll need to know that the site is accessible, at an acceptable speed, from various locations around the world. Maybe you want to know the location of the server which hosts the site, or check that it's not still vulnerable to the Heartbleed bug. Perhaps you want a breakdown of how fast your page loads on a variety of hardware platforms at a selection of speeds. If so, then help is at hand. Here's a great collection of network and web site troubleshooting features, all accessible for free via your browser. And even if you don't run a web site yourself, try the tools against some of your favourite sites to learn more about how the internet and the web works. Just go to https://www.site24x7.com/tools.html to get started. I tested a site of mine for the HeartBleed bug and according to site24x7 it was affected. I contacted my hosting provider but he responded that the HeartBleed bug was already tackled long ago. He passed this check site https://filippo.io/Heartbleed/ and there my site is OK. So, apparently the HeartBleed check of site24x7 is not reliable. Nice find... but where do you see "Free"? It's a subscription service, with the lowest price being $9/month. Or perhaps you meant the 30 day free trial? If so, you should say so. That's not the same as "free." 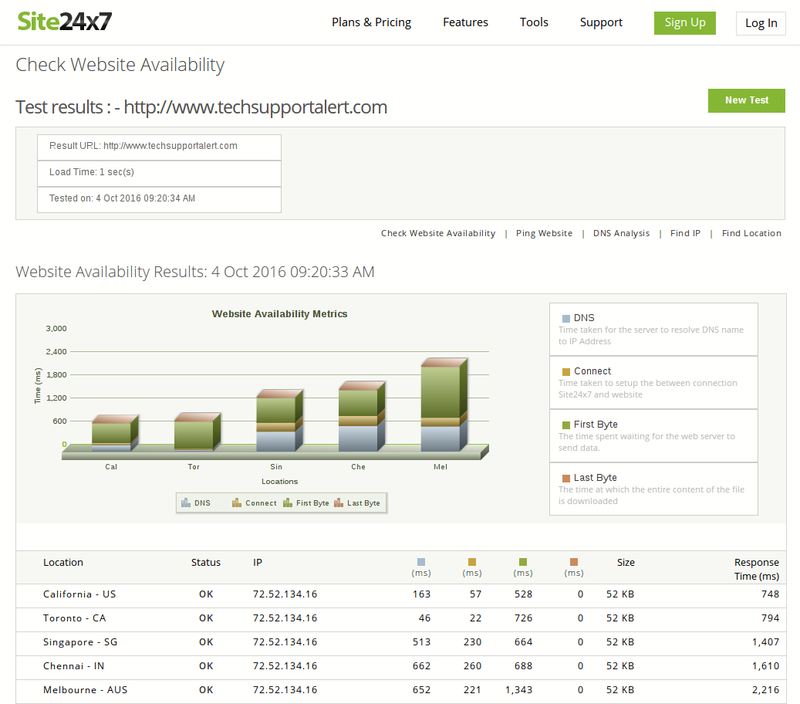 The subscription plans relate to the monitoring service. The tools are free to access from your browser and use. MC - Site Manager. I can't get my network working I need help. Just go to this web page! Is there an OFFLINE version? ?